Half Dome From Mirror Lake Trail, Winter, Yosemite National Park, Sierra, California, copyright 2010 David Leland Hyde. John Muir wandered and celebrated the Sierra for more than a decade inspiring thousands of artists and lovers of wilderness to “climb the mountains and get their good tidings.” My father, American landscape photographer Philip Hyde, was one artist so inspired. His last book, published in 1992 and titled, “The Range of Light,” featured quotes from John Muir to go with his color, as well as black and white photographs. When Dad was 16 he first visited the Sierra and labeled his map of Yosemite National Park, “Home.” Twelve years later in 1950 he and my mother moved to the mountains in the Northern Sierra. Another 15 years later a doctor friend helped them give birth to me at home in the wilderness of the Sierra. I grew up in the woods along Indian Creek and have been “haunted by waters” like Norman Maclean ever since. The Sierra could also be called the “range of shimmering water” as it is more abundant in rivers, lakes and streams than any other mountain range. The house I was born in is situated on an ancient granite rockslide that originated from Grizzly Peak. The peak itself is not visible from our home directly below the mountain. We see Grizzly Ridge, rising precipitously up 4,000 feet to 7,600 feet elevation, from Indian Creek at 3,600 feet elevation just below the house. 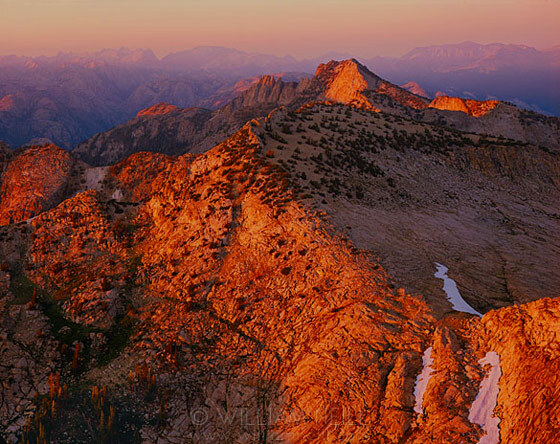 Nonetheless, this northern end of the Sierra is mild, softly rounded and much lower than the high Sierra of Yosemite, Kings Canyon and the John Muir Trail. As a child of the mountains, they raised me just as much as my parents. My mother knew I would learn many of life’s most important lessons by wandering around in the woods, fishing and hiking along Indian Creek, Spanish Creek, Greenhorn Creek, Ward Creek, Red Clover Creek, Montgomery Creek, Lights Creek, Hinchman Creek, Peters Creek and many of the other streams of Plumas County and the Feather River region. These local names are telltale signs of my focus on local photography for the last four years since I forged into digital photography; and for many years before that while carrying a film camera off and on, sometimes going whole decades without a camera too. Here I learned to walk, talk, run, swim, fish, ice skate, drive in the snow, jump off of big rocks into deep waters and all the fun a boy could ask for without any need of television, video games, cell phones or portable computers. I understand the need, in some cases, for landscape photographers to travel. During his more than 60-year career, Dad traveled an average of 99 days out of every year. Yet even Dad’s travels were almost exclusively regionally limited to the Western United States, primarily in Arizona and Utah canyons and California mountains. Is it necessary that all photographers go to Machu Picchu, the Eiffel Tower, the Great Wall of China, or even Mesa Arch in Canyonlands, Tunnel View in Yosemite Park, or Zabriski Point in Death Valley National Park? Sometimes photographers traveling to Iceland might help save the ice sheet, photographers traveling to far northern British Columbia might save a vast wilderness like the Sacred Headwaters. 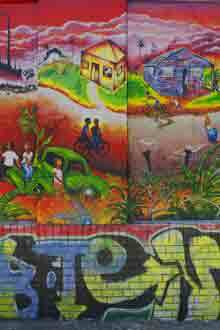 However, generally, I feel more and more that I am a proponent of photographic bioregionalism. In other words, bloom where you’re planted. Considering that Edward Weston said he could look at his boot and find a great photograph, amazing images are everywhere, if the photographer looks, or rather sees closely enough. There is no need to travel great distances to find beauty. It can be found right in the backyard as locally focused well-known photographers like William Neill, Michael Frye, Gary Crabbe, Richard Wong and Guy Tal prove over and over, day in, day out. I was born in the Sierra, here is where I live and here is where I photograph. This new portfolio is a collection of a small slice of my personal expression through the lens, very often one single rudimentary lens, a Costco special Nikon 18-55 mm that came in a kit with my Nikon D90, a Nikon 55-200 lens, a camera case, an SD card and camera manual. Sure, some day I hope to break out Dad’s large format Deardorff view cameras and his two medium format Rollei SL66 film cameras to try out some black and white film, but for now, I’ll stick to the easy to use and versatile Nikon D90. I am lucky to have Dad’s nearly indestructible Bogen #3028 tripod with handy pads on the legs for comfortable carrying over the shoulder for long distances or while free rock climbing with one hand down into some canyon in these fair mountains of home. Plumas Arts will exhibit the historically significant photographs by Philip Hyde that helped to make many of our national parks at the Capitol Art Gallery at 525 Main Street in Quincy, California from May 3 through June 1. An opening reception Friday, May 3, 5-7 pm launches the show. A special presentation by David Leland Hyde, Philip Hyde’s son, will also be held at the Capitol Arts Gallery on Tuesday, May 14, at 6 pm. During his 60-year full-time large format film photography career Philip Hyde lived with his wife Ardis in Plumas County for 56 years. His photographs that are part of permanent collections and were shown in venues such as the Smithsonian, the Museum of Modern Art in New York, George Eastman House and the San Francisco Museum of Modern Art, now come home for a rare showing in Plumas County. The Plumas Arts show will be the first local exhibition of its kind since Hyde’s passing in 2006. The exhibition, titled “Inherited Nature” will also be unique because it introduces the digital photography of David Leland Hyde, who walked many wilderness miles with his parents and now works to preserve and perpetuate his father’s archives. David Leland Hyde not only inherited his father’s collection, but also his father’s love of nature, art and activism that helped shape his own photography and view of the world. Part of the show naming process included consideration of the double meaning of “nature,” as well as a third double meaning of the phrase which refers to all of us inheriting nature and passing it down as well. One title kicked around was “Nature Passed Down.” The inherited aspect of nature and landscape does not apply only to David Leland Hyde. As far as his photography is concerned, he photographs the landscape because he grew up on the land. However, having lived in cities as well as Plumas County where he was born, David also enjoys architectural, portrait and street photography. Philip Hyde first made images of the Sierra Nevada at age 16 in 1937 on a Boy Scout backpack in Yosemite National Park with a camera he borrowed from his sister. By 1942 he was making photographs of artistic merit in black and white, and much more rare at the time, in color. In 1945, as he was about to be honorably discharged from the Army Air Corp of World War II, Hyde wrote to Ansel Adams asking for recommendations for photography schools. Adams happened at the time to be finalizing plans for a new photography department at the California School of Fine Art, now the San Francisco Art Institute. The new photography school was the first ever to teach creative photography as a profession. Adams hired Minor White as lead instructor and he brought on teachers who were luminaries and definers of the medium such as Edward Weston, Dorothea Lange and Imogen Cunningham. Living a simple life out of the spotlight, he always felt that his own art was secondary to nature’s beauty and fragility… As an artist, this belief was reflected in his direct style, which appears deceptively descriptive, favoring truthfulness and understatement rather than dramatization. Philip Hyde spent over one quarter of each year of his career on the back roads, trails, rails, rivers, lakes and ocean coasts of North America making the photographs that influenced a generation of photographers. Today some find it easy to take his compositions for granted, but this mainly happens because they have been emulated countless times. Much of landscape photography today applies principles and techniques developed by Philip Hyde. Just as Philip Hyde inspired photographers, his wife Ardis inspired him and traveled as his companion throughout his life and after most would have retired. With Ardis, he built his home near Indian Creek surrounded by woods. Over a two-year period, Philip designed, drew the plans and constructed not only the home with Ardis’ help, but also gathered local river rock for a large fireplace. The Hydes first came to Plumas County in 1948 through a chance meeting on a train with Ardis’ friend from college then living at Lake Almanor, who helped Philip Hyde land a summer job in Greenville at the Cheney Mill. Having a young college kid from the city endlessly amused the other workers at the sawmill. One time young Philip even fell into the stinky millpond, which drew great laughter and a ticket home for the day to photograph. Ardis taught kindergarten and first grade for 12 years to help supplement Philip’s photography efforts beginning in 1950 when the Hydes settled in Plumas County. While living in Plumas County for 56 years, Philip Hyde also actively contributed to the community. He was a founding artist member of Plumas Arts and contributed funds to provide lighting in the gallery. He was also one of the founders of the Plumas County Museum. He hired the architect Zach Stewart, whose famous architectural firm had hired both Hyde and Adams as photographers. Stewart charged the Plumas County Museum much less than usual for his architectural services and as a result the Plumas County Museum had money left over for a small investment fund that has helped it perpetuate for the many years since. A portion of all proceeds from the exhibition will go directly to the Feather River Land Trust and Plumas Arts, continuing Philip Hyde’s tradition of contribution to the community. Gallery Hours for the exhibition are Wednesday, Thursday and Friday from 11am to 5:30pm and Saturdays form 11am to 3pm. Arrangements may also be made for viewings outside these times by calling Plumas Arts at 530-283-3402. 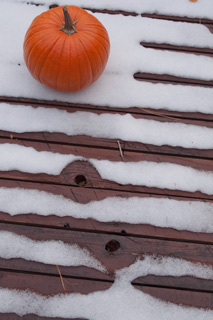 Pumpkin, Melting Snow Patterns On Deck, Northern Sierra Nevada, California, copyright 2011 by David Leland Hyde. Nikon D90. Note: Those names below in blue are links as customary. Those in black that are not links I either could not find again or they were buried in a long list of shares. Topsy and some other social media search sites are currently having technical difficulties. Even the Holy Grail, Google Search, does not seem to crawl all tweets and shares, even on its own platform Google+. Also, as I am not yet a participant of some of the social media, not all searches are available to me. If you are one of those listed below and would like your name linked to your share or post of the video, please send me the link in the contact form above or in an e-mail. Same goes for those who I have accidentally omitted from the list and deserve my apologies. 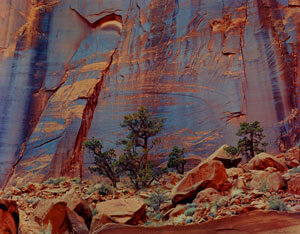 Hyde’s Wall, East Moody Canyon, Escalante Wilderness, now the Grand Staircase-Escalante National Monument, Utah, copyright 1968 by Philip Hyde. 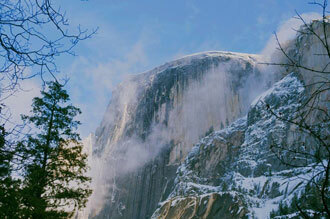 One of the most renowned photographs from the Sierra Club Exhibit Format Series. “Hyde’s Wall,” originally titled “Juniper, Wall, Escalante” was first published in the Sierra Club book “Slickrock: The Canyon Country of Southeast Utah” with Edward Abbey. For more about Edward Abbey, “Hyde’s Wall,” “Slickrock” and how the wall originally became known as Hyde’s Wall, see future blog posts in this series. Big, four-pound, creamily beautiful, living-room furniture books that argued the cause of conservation in terms, photographically, of exquisite details from the natural world and, textually, of essences of writers like Thoreau and Muir. Philip Hyde was the workhorse for the Sierra Club book series, providing images for nearly every battle of theirs in the 1960s and 1970s. When David Brower, the director of the Club and creator of the book series, needed images to help preserve an endangered landscape, Philip and camera went to work. Books in which his photographs are instrumental include: The Last Redwoods , Slickrock , Island in time: The Point Reyes Peninsula , Time and the River Flowing: Grand Canyon , Navajo Wildlands, The Wild Cascades: Forgotten Parkland , and This Is Dinosaur: Echo Park Country and Its Magic Rivers. I have little doubt that every published nature photographer of my generation has been inspired by Philip’s efforts. The large number of photographers, professional or not, working today to use their imagery to help preserve wild places, both locally and on national issues, owe Philip a great debt. The success of the Sierra Club books not only gave a great boost to its own membership, but also showed publishers that such books had commercial value, thus spawning the publication of thousands of books modeled after them. The resulting nature book industry allowed many photographers to develop careers, and brought to light many issues of preservation. Even those not familiar with the full extent of Hyde’s accomplishments can trace their roots to his efforts. To read the full tribute, see the guest blog post, “Celebrating Wilderness By William Neill.” Stay tuned for the next installment in this series about the launching of the Sierra Club book program and the making of This is the American Earth . 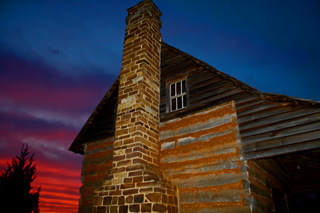 Sunset, Log Cabin, Farmer's Branch Historical Park, Farmer's Branch, Texas, copyright 2009 Derrick Birdsall. Some photographers have no problem with singing their own praises or even over-blowing the merit of their own work. In contrast, many photographers and other creative people hesitate to promote themselves because either they doubt their own work, feel self-aggrandizement is tacky or any number of other reasons. My father, pioneer landscape photographer Philip Hyde, fit into the second category and architectural, historical, street and landscape photographer Derrick Birdsall does as well. 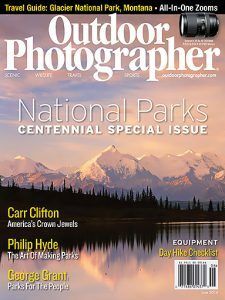 When I proposed doing a Monday Blog Blog on Derrick Birdsall and his popular blog My Sight Picture, he said something about the caliber of photographers I feature, how short a time he had been “serious” about photography and that he felt highly honored to be the subject of such a blog post. My reply was that my father liked to support and encourage those who were the most dedicated to the craft and the most accelerated in their development. Besides, Dad was always egalitarian in his association with all levels of photographers. I added that even though Landscape Photography Blogger exists to honor my father, it is my blog, doggon it, and I will feature who I want, which essentially in time will be a wide variety of landscape photographers from all over the world that I haven’t even met yet, but to start with I will feature those who I like and who support this blog the most. Derrick Birdsall began his participation on this blog by asking in a comment if I thought that the current period was another Golden Era for photography. See comments on the blog post, “Photography’s Golden Era 2.” Ever since, he has shown a knack for asking pithy, discussion sparking and often difficult questions. I have always been amazed at his prolific volume of photography. This month, for example, he made over 20,000 exposures. Also, he puts up blog posts more frequently than any other blog I follow. Just five years ago, Derrick Birdsall began photographing with a small Hewlett Packard “point-and-shoot” that came with a printer he bought. Because it was convenient to keep in his pocket, he took it everywhere he went. At first he had mainly an “I was here” style, but once he was out exploring around the Gila River in New Mexico and a storm blew across the canyon. Derrick “snapped” a few pictures and found that one of them had an “Ansel Adams style to it and something just clicked in my head, that I could do this.” He now photographs mainly with his Canon 7D, with his earlier Canon 50D as a backup. For post processing, he uses only Adobe Lightroom and Idealab/Google Picasa, no Photoshop. If I had my druthers, I’d be out working the Texas deserts and canyons every day with a camera. Unfortunately for me, I can’t get out there all the time, so I take images of what I have access to. There’s beauty to be found everywhere—whether that’s in a majestic desert landscape, a nice macro that you walk by every day, your dog laying out in the sun, or whatever you might pass by. My rule number one is that to take a good picture, you’ve got to have your camera with you everywhere you go. That way if you see something that catches your eye, you can take the time to stop and capture that moment. That being said, I think that to really capture the essence of something, you have to know it, and the images I share with folks are of things I know and love. Basically, it’s all about ‘seeing.’ Once you start hunting for the light, you see it everywhere you go. I also use every photo opportunity as a way to become more skilled with the camera across the board. For example, I can learn something from taking an image of a hot rod and apply it to capturing reflections of a pool of water in the desert. In the short time I’ve been working at this, I’ve learned that photography is often about trial and error. Every time you hit the shutter button it’s a learning experience. Sometimes it works and sometimes it doesn’t, and the more images you take, the better you get at being able to bend the camera to your will so that you can capture the image you visualized. The forts project hits so many buttons for me. For starters, I am a historian by trade… I love history, always have. Secondly, the bulk of the forts are well off the beaten path and in some truly beautiful country. Thirdly, they are some of the only places you can get to anymore where you can not only see things the way they were, but you can feel it too. Standing inside some of the old buildings and hearing the wind whistling through the cracks in the walls without the interruption of modern noises is just magical to me… I can get my history fix and my landscape fix in the same breath. The city of Farmer’s Branch, Texas has a historical city park with 28 acres of grounds and 12 structures dating from the 1840s to the 1930s. Derrick Birdsall, park Superintendent for 12 years, slept in one of the log cabins for a week this last March in commemoration of Farmer’s Branch Historical Park’s 25th Anniversary. The Dallas Morning News article shared how Superintendent Birdsall wore period clothing and cooked over an open fire to help bring frontier days to life. See the YouTube video here. The Farmer’s Branch Historical Park, with over 80,000 visitor’s a year, is an outdoor museum, special event venue and educational facility sharing the heritage of North Texas and Dallas County. I enjoy being able to teach people… and there are definitely perks associated with the museum world. From time to time I can flash my “museum card” and get access to places that I otherwise would not have…. My museum is… not your usual gallery type setting. One of the things that just flat drives me nuts is that quite a few of the folks who work in a gallery setting are elitist snobs. It’s my belief that the objects in our care are to be shared with as many folks as possible and that visitors should have reasonable access to the artifacts. A lot of the gallery types keep everything behind glass if it’s accessible at all and more often than not you can’t even see the items because they are hiding back in the stacks. How can you educate and teach your visitors if all of your tools are locked up behind closed doors? The other thing that I notice about some folks in more traditional types of museums is that while they are often times highly educated, they only know what they’ve read, and not because they have any experience in their subject matter. Those are the folks that talk about the rules in art and photography but if you put a paintbrush or camera in their hands they wouldn’t have the slightest idea how to use it. When Derrick Birdsall studied museums, he attended graduate school. When he learned competition shooting, he took classes from the best marksmen in the world (See a YouTube video of the “Three Gun” type of shooting he does here). However, with photography he has been largely self-taught. He took one class online with master landscape photographer William Neill, but the rest of his training has been through trial and error in the field. He chooses photographs and guides his photography with the help of pre-visualization. In shooting competition, he made a sight picture, aligning the front and rear sight of his gun with the target. He also learned to fire between breaths, during what is called the respiratory pause. He sometimes uses this technique while photographing. As a result of his training, he can often defy the rules about when a tripod is necessary. He wrote about the parallels between both types of “shooting” in an excellent blog post appropriately called, “Sight Picture,” similar to the name of his highly visited blog My Sight Picture. Take a sight along his photo blog for yourself. You will see the work of a new voice in photography, traveling at a high velocity toward his target.